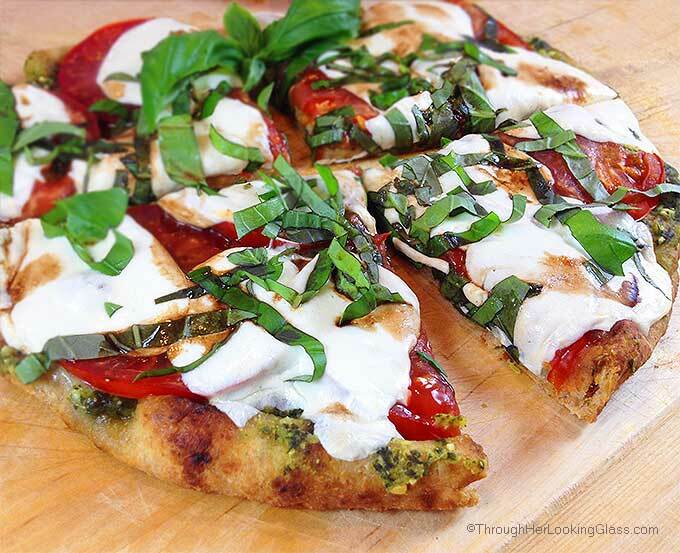 Caprese Pesto Flatbread: garden fresh basil pesto, tomatoes, fresh mozzarella and drizzle of balsamic vinegar top a purchased flatbread for an easy & flavorful flatbread pizza. Well I hope you’re well today. I am, thank you. 🙂 Today we’re talking about Caprese Pesto Flatbread. Quick and easy. When it gets to be springtime, I start thinking about picking ripe, red garden tomatoes and fistfuls of fresh basil from my raised beds out front. Love living off the land, even though we don’t live in the country. (Just call me pioneer woman in the city.) 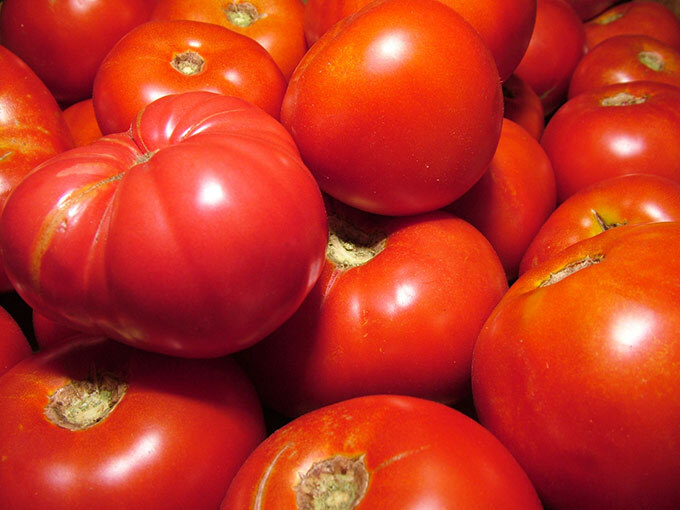 While my tomato plants aren’t even planted yet, I found some beautiful ripe tomatoes at the farmer’s market this week. So I needed a quick dinner tonight. And over the last few years I’ve totally fallen in love with Stonefire Whole Grain flatbreads. Naan. I love these flatbreads. They’re quick and easy. I especially love making Caprese Pesto Flatbread with Naan because they’re super fast, healthy and taste great. I made this delicious Caprese Pesto Flatbread in about 15 minutes tops for dinner tonight. Top with fresh tomato rounds, then fresh mozzarella slices. Bake for 5-10 minutes on the lowest oven rack ’til crust is crispy and mozzarella is melted. Top with fresh basil strips and drizzle with balsamic vinaigrette for a great flavor pop. 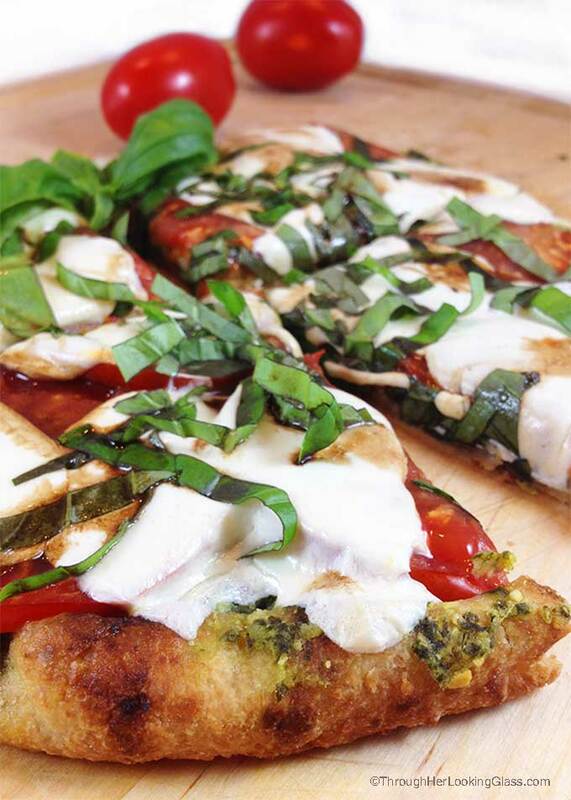 Fresh and delicious: Caprese Pesto Flatbread! Fresh basil pesto, tomatoes, fresh mozzarella and drizzle of balsamic vinegar combine for a fresh & delicious flatbread pizza. Crisp up the flatbreads on a baking sheet under the broiler in the oven for a couple minutes until just crisping. 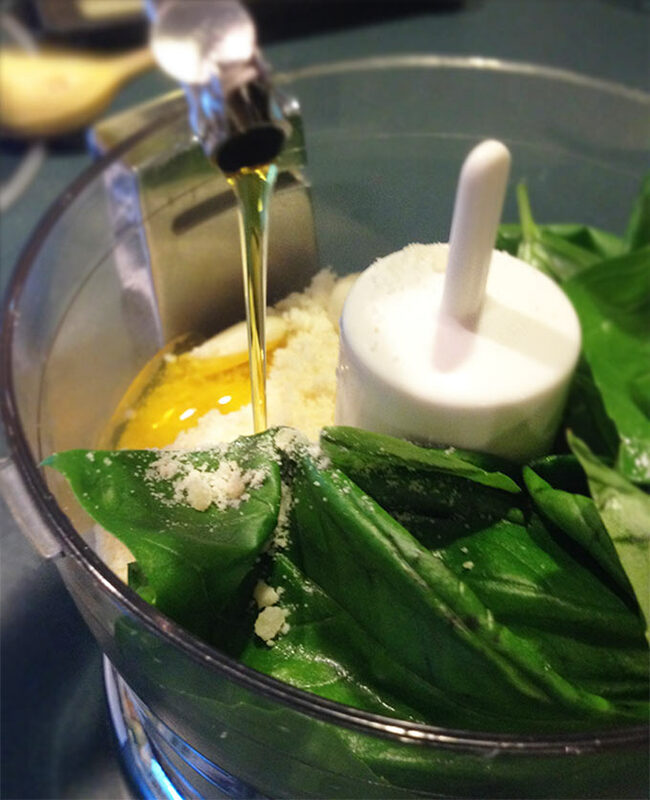 Place basil leaves, garlic, parmesan and black pepper in food processor. Drizzle a few tablespoons of olive oil in and process. Add more olive oil if needed for spreadable consistency. Spread each flatbread with 1/2 of basil pesto mixture. Top with fresh mozzarella rounds. Bake for 5-10 minutes on lowest oven rack until flatbread is crispy and cheese is melty. Garnish with fresh chopped basil and a drizzle of balsamic vinegar. I have one more way to use my overabundance of tomatoes and basil! Kudos & thank you. I love this! As previously mentioned perfect for my large bounty of garden tomatoes and basil. Looking forward to making this! I absolutely need this for dinner! Allie, I am a bit jealous of your bounty, as I have the blackest thumb around. However, I will happily stop at every farmer's market in town to stock up on fresh tomatoes for this dish. YUM! I love this recipe - can't wait to make it! Such a great idea to start with naan! It looks soooo good! And a neat quick supper! Yummm! Girlie - you're a day late and a dollar short. JK. I wouldn't charge you for dinner Shashi. Not a dime. Not never never. Get you on that jet plane, almond cruncher!!!! This looks delicious! I love using my basil and tomatoes from right outside my door. And who doesn't love pizza. I want to know how many you had to make for your boys? I haven't made this yet, but I already know it's 5 star! How many did I have to make D....hmmmm...too many!!! Hungry boys here. Had to supplement with french bread pizzas made w/leftover sub rolls from the picnic! No one complained though...I know you and Doug will love this. This is one of my favorite combinations, especially this time of year. Such a simple, delicious meal! 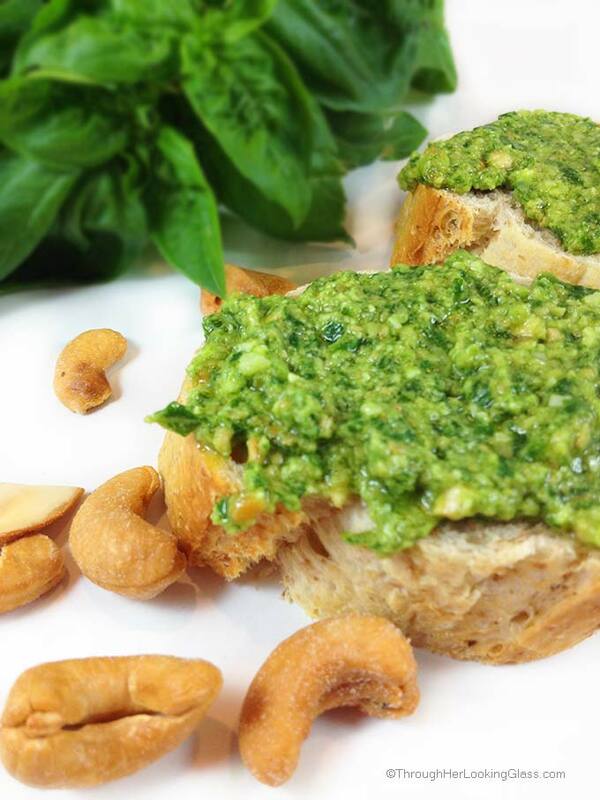 We have done something similar with loads of freshly chopped basil tossed with olive oil and salt, but since it is the season for pesto, this looks perfect. All we need is the flatbread! Oh. Em. Gee! That looks amazing!!! My grocery is carrying that naan too! Just what I needed tonight to keep stove use minimal, use up plethora of basil (willing to share with Michelle of Daily Dish! ), and wow my potentially stunned-to-be family!! Thanks, Allie, you're a dinner-saver! Yum, yum, YUM! Definitely need to make some gf flatbread now! How clever to use naan for flatbread! I absolutely love caprese and pesto, so I can't believe I haven't tried them together! I have so much basil and a crazy amount of tomatoes from the garden (on the side of my house - not front :)) I'm so open to as many ideas as possible to take advantage of them! I'm back.... My girls both love to read anything you post, and they both told me that I HAD to make the Caprese Pesto Flatbread. So that was supper tonight, and it was every bit as good as it looks! Thanks! Glad to hear it Aster!!!!! We eat a lot of pesto and caprese in the summer! So perfect! Now this is my kind of flatbread. All i can see are the lovely tomatoes and I am drooling. This looks like a terrific recipe. This is a must try. I have not used Flatbread before. Thanks. OMG!!! The Caprese Pesto Flatbread was so delicious!! I absolutely loved it. Thank you Allie for sharing the recipe. I told my daughter about it because she was asking for easy recipes to make while at college. She bought the ingredients and is planning on making it for dinner this week. She will not be disappointed! Perfect quick dinner with summer freshness and so much flavor. Thanks for the fantastic dinner idea my friend!! Sounds divine!! And we love the Stonefire naan but now am dying to try the wholegrain version. Will be on the lookout for that!! Love how easy the pesto is too!! You are my "Go To Girl" for all things yummy and serve-worthy!! 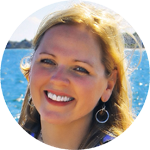 Hi Allie, 'New best friend' works for me! Pizza is my favorite food, and making it fast, easy, and fresh makes me even happier! I've never heard of Stonefire Whole Grain flatbreads and look forward to trying it!! Thank you so much. My mouth is watering!!! Un véritable feu d'artifice de saveurs j'adore ce genre de pizza,bisous Allie,belle journée! Damn, I only have coconut oil and safflower oil. I guess I need to go to the store and get olive oil... or I can use safflower? Allie - even though I've commented on this before - I couldn't stop myself from drooling - er I meant, commenting on this again - cos no matter how many times I see it - it's still droolicious! Wow! This looks phenomenal. I love caprese salad and on top of flatbread, its a winner in my book! I'd rather choose your recipe than a pizza for a movie night. So healthy and mouth-watering, Allie! Gorgeous. Love anything caprese... takes me back to Italy. This is absolutely stunning. oh wow I want to try this! that pesto looks good and who needs a pizza this looks so much better. 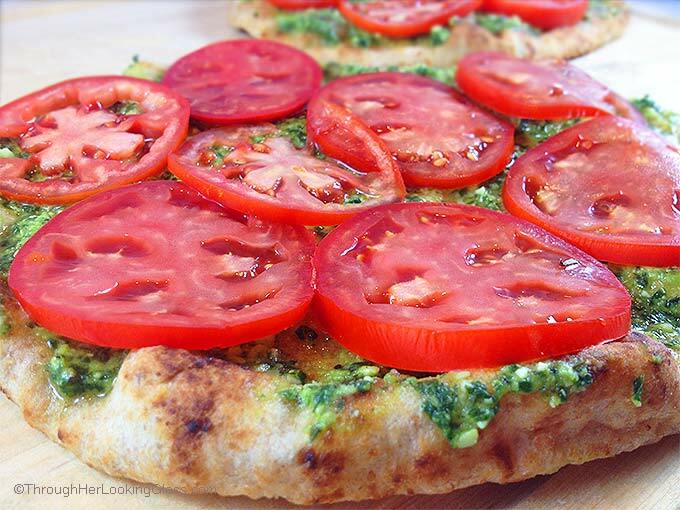 Really awesome baking process and so easy to prepare Caprese pesto flatbread. You have really done a nice job. As you have shared the best things for me. Even this recipes can be made in busy time also. It's really special for me. thanks for sharing it here on this site.